Whether it is an ill tempered secretary or unwarranted “Not Financially Cleared” email, almost every student at Hampton University has had a bad service experience with customer service. Many Hampton University students have expressed their dissatisfaction with the way the school has handled their issues. “This summer when I was trying to call student accounts about a balance I had on my account,” said Joshua Reed, a junior aviation major from Alexandria, Virginia. “I called everyday for two weeks and left messages and email. The only way it got resolved was when I was at the office in-person right before the fall semester started.” Contacting Hampton University seems especially difficult for students during breaks while trying to deal with financial problems before arriving on campus. While some may say the issue stems from a lack of training, Hampton University steps for employment of staff members seems quite extensive. 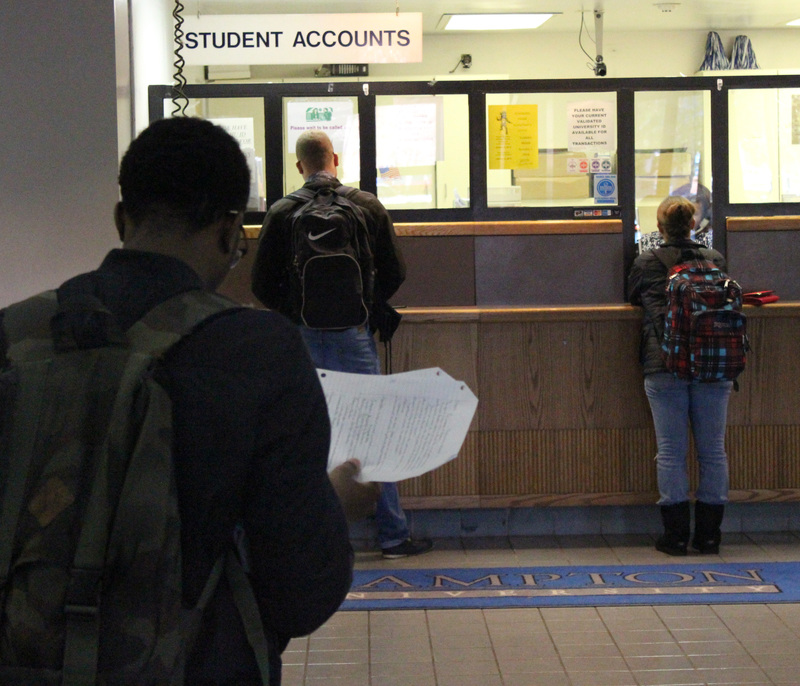 After completing a letter of intent, submitting resume and completing an application, the applicant is screened by the Office of Human Resources. If an applicant passes the initial screening, then their application materials are sent to the appropriate office for an interview and additional screening. Many listings include requirements like “good interpersonal and human relations skills” or “Greet students, faculty and visitors on the phone, via email, in person, etc. courteously and with respect.” Still with the various complaints from the student body, there does not seem to be a system to hold the staff accountable to fulfilling those requirements. While students can evaluate their teachers through anonymous forms at the end of the semester, there is not a similar process exists for other offices on. Red boxes across campus offer students an outlet to express their issues, but many students are unsure about how often these are read and whether their issues are being presented and acted upon by administration. “They charged me $500, they had dropped all of my classes and my HU email was disabled,” said Dominque Conway, a sophomore political science major from Murrieta, California, about issues involving student balances. Dominque called the business office numerous times over winter break about a $55 balance and left voicemails even taking into account time differences in order to call at an appropriate time to no avail. By the time she sat down to speak to a representative the payment deadline had passed while she was unaware of such a deadline. “Hampton needs to be more efficient and actually inform students of their balance instead of expecting them to somehow come up with a number on their own,” said Conway. Continuous issues with students being able to communicate with staff especially about being financially cleared will eventually lead to more students not coming back at all. The issue of poor service to students is not just a problem that only Hampton University students deal with. Students at other Historically Black Colleges and Universities (HBCU) have experienced poor customer service as well. Earlier this year, Howard University students took to Twitter by the hashtag “TakeBackHU” to discuss issues including long lines and poor service in the Financial Aid Office. Texas Southern University students also created a similar hashtag “TakeBackTxSU” with thousands of complaints from students and alumni. These issues can essentially be considered customer service issues since students are paying for this lackluster service. Without a system that accounts for these concerns, it is difficult to see if any progress will be made towards a happier and more helpful Hampton University. Does the current student body understand that the school shuts down for 2 weeks during the winter break? Upon their return, the staff is going through thousands of voicemails and trying bro return calls and rectify problems. I didn’t see this issue addressed in this article. I worked with the staff while I attended there as a student also, therefore, I saw this from a firsthand point of view. to abide by procedures, and/or late taking care of respective business. These are aspects of consideration for the customers before pointing fingers at the customer service providers. The most important people in the whole equation are the students. The university exists and operates because of and for the students. A basic business principle in public/private entities is taking care of your internal customers, hence the students. Accountability and responsibility for students to conduct business professionally is a given fact. Where is the oversight and correction of those whose job is to assist students administratively as they matriculate? Too many students presently and from the past concur that thenre definitive problems with customer service that need to be addressed and corrected. Am I your enemy because I tell you the truth? I graduated from Hampton University about 20 yrs ago and the employees for example in Whipple Barn were extremely rude. Everytime I went there they treated us students like we were a problem and bothering them. The ladies would stand there at the window talking to each other and laughing with a line reaching out of the door. Their mindset was not to help students; it was the treat the students like kids and find ways to create barriers and not ways to simplify the process. I loved 90% of the professors. I only ran into a few problems with them. I had two deaths in the family while a freshman and when I informed them I had to be absent to go to the funeral; they both implied it was strange to have 2 deaths in the family so close together. I explaine it was cancer. I was told to bring the obituary back and when I did, they looked at me weird. One still didn’t let me make up one missed assignment and that one low grade caused me to get a C.
But there were lots of great professors who were amazing people. But the treatment by the workers was so bad, some students hated the school. When I was there no one held the clerical staff accountable for the way they treated the students. They were way too comfortable with being mean; which translates to me that they felt they would not get fired. In any school setting the employees have to understand that without the students; they have no job. I sure hope the treatment of HU students improves. I love HU, but those workers left a bad taste in my mouth about the school.